NATO says its 40,000-troop “Trident Juncture” exercises to be spearheaded by a German brigade, will proceed in Norway in October. 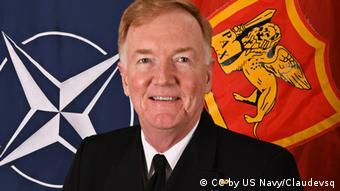 Russia was briefed about the maneuvers near its border by NATO ambassadors last May. Norway is to host most of NATO’s “Trident Juncture” exercises which are to include 8,000 German troops. Exercises “in the air, at sea and on land” will be held over two weeks starting October 25, NATO headquarters in Brussels confirmed to DW on Friday. 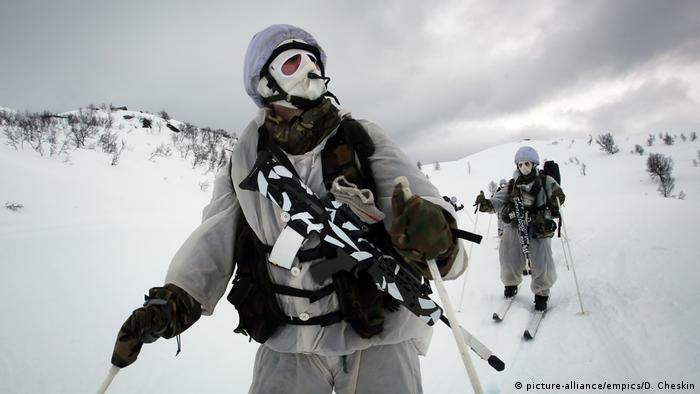 The exercises will involve NATO members, plus partners Finland and Sweden. They may be the largest maneuvers to be held since the end of the Cold War. Norway and Russia share about 200 kilometers (120 miles) of land border as well as a maritime “delimitation” line extended across the Barents Sea and Arctic Ocean. Since last year. the 28-nation trans-Atlantic alliance has staged smaller-scale rotations and exercises in Poland and in Baltic nations Estonia, Latvia and Lithuania in response to Russia’s 2014 annexation of Ukraine’s Crimea and for backing separatists in eastern Ukraine. Last year, Russia’s Zapad war games in Belarus, on NATO’s eastern flank, also prompted EU foreign policy chief Federica Mogherini to call for plans for quicker mobility in the event of conflict. Germany would contribute “a lot of troops and equipment” alongside other major allies including the US, Canada and Italy, Novakova said. Germany had been “one of the main contributors” to NATO’s Trident Juncture exercises in 2015, when some 3,000 German troops took part. NATO’s Spearhead Force — to be led from next year by Germany’s 9th Armored Demonstration [tank] Brigade based in Münster — would be the “focus” of October’s near-Arctic Circle exercises, a German defense ministry spokesman Frigate Captain Christian Scherrer told DW. Units of that Spearhead Force, known in NATO jargon as the Very High Readiness Joint Task Force (VJTF), would be “certified” at the conclusion of Trident, Scherrer said. Deployment of about “200 armored combat vehicles, including 20 Leopard 2 combat tanks” as part of Germany’s contribution of 8,000 troops and 2,000 vehicles to Trident Juncture 18, were planned, Scherrer said. Last June, Norway asked the US to double its small Marine units on rotation in its Arctic north and to place them closer to the Norwegian border with Russia. Trident would see NATO working with two of its closest and “most capable partners in the region,” Foggo said, referring to Sweden and Finland, which are in close proximity to the former Soviet Union. Host Norway had already done a lot of work to make Trident Juncture a “huge success for the Alliance,” Foggo said, adding that the main exercise would be preceded by “advanced activities in and around Iceland” in mid-October. He himself would be at sea off Norway, monitoring the maneuvers, Foggo added. Commanding NATO land forces in Norway would be Canada’s Lieutenant General Christian Juneau. “On day one of the exercises you will be wet and you will stay wet until the end, unless you learn how to deal with it,” Olsen said.